The public was invited to comment on proposed hunting, trapping, motor vehicle restriction and firearms restriction regulation changes for 2018 to 2020. The public engagement website can be found here. 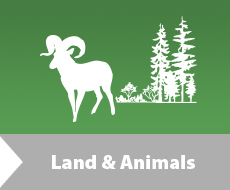 To see proposed hunting, trapping, motor vehicle prohibitions, and firearms restriction regulations click here. Based on regional requirements and conditions, the intent of these regulation adjustments is to promote the conservation of wildlife and wildlife habitat and optimize sustainable hunting/trapping opportunities. The opportunity for public comment ended on January 19, 2018. Final regulations will be in effect between July 1, 2018 and June 30, 2020. Read about how citizen input turned into action.